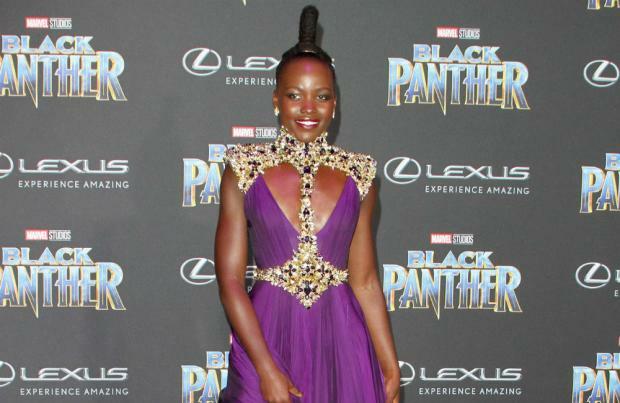 Lupita Nyong'o knew they were in "new territory" with 'Black Panther'. The 36-year-old actress – who stars as Nakia in the Marvel movie – says she knew straight away that the movie was important. She said: "Oh, we knew we were in new territory. We did. That we had an opportunity to shift the gaze from what you expect. We knew. That's what happens when you turn the camera off-centre. You normalise new things. The percentage of Islamic people on Earth is high, and that, somehow, they should be an exception is ridiculous. So you normalise the marginalised, then you're able to recognise humanity, even when they don't look like you." And Nyong'o thinks the Ryan Coogler-directed movie "tapped into a hunger" for people from all walks of life. She added to Culture magazine: "Because I grew up watching international films. I was able to relate to people who didn't look like me. People look for connection. And that is what Black Panther is doing for people who are not black. "They are now able to relate to people on screen in the way I've related to white people my entire life. We tapped into a hunger. People did not know they were this famished for this story. But when you see something culturally relevant to your experience? It is healing. It was a vibration throughout the world." Meanwhile, Nyong'o previously insisted she thinks "people are ready" to see a film like 'Black Panther'. She said: "I think people are ready to see a film like this. A predominately black cast, African story and a celebration of African culture on a very big scale. It's a look and feel like something you've never seen before. It is [ground-breaking]. It is a beautiful thing to behold. All of us are often asked to relate to white characters and now it's time for the world to relate to black characters and what you realise is that we are the same. This kind of thing it's amazing that it is happening now, it's a beautiful thing. This is time for it and we're ready."